'This book starts with the story of Larry Walters, who decided to try flying a garden chair with some fifty helium weather balloons attached. Larry didn't do the maths, and ended up at 16,000 feet! 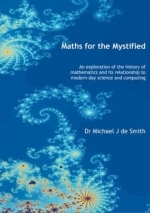 Michael de Smith has written a book for all the Larrys who need or ought to do some mathematical analysis of a problem before setting out. At the earliest age, children around the world ask questions about the nature of existence and how we came to be here. 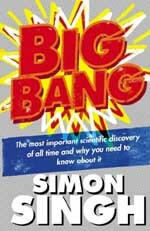 Simon Singh's third and most ambitious work of popular science takes us on a journey through the ages, as man's sense of his own importance in the universe shrank ever smaller and his idea of time stretched from a few thousand to around fifteen billion years. 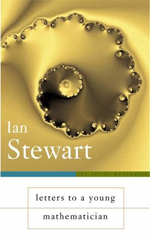 With this collection of letters Ian Stewart, accomplished mathematician, science writer, and even science fiction writer, accompanies a young and imaginary student on her path to becoming a professional mathematician. The letters address the questions that arise naturally at the crucial points in "Meg's" career, from leaving school and pondering whether to take a maths degree, through to becoming a fully established mathematician wondering how to juggle teaching and research. 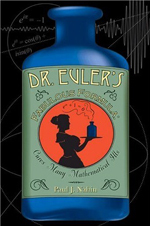 The hero of this book is Euler's formula: eiπ + 1 = 0 This simple equation has been widely considered through the last two centuries to be one of the most beautiful formulae of mathematics, and Nahin tells us why. 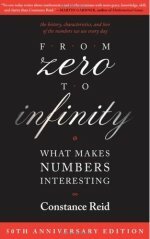 What makes numbers interesting? The subtitle of this beautiful book is the motivation, map, and message of its 188-page journey from zero to infinity. With concise insight, Reid takes the digits from 0 to 9 as chapter titles and starting points of voyages into the history and deep concepts of modern mathematics. 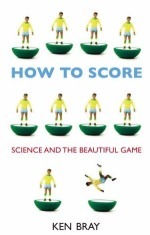 Do you love football, marvel at Beckham's perfect swerving free kicks and find formations fascinating? Or do you love science, and want to find out how aerodynamics affects a ball in flight and discover the insights statistical analysis of real-life data can give? An unnamed girl in an unnamed, but contemporary, European city enters a rather gloomy old building, reading its address from a crumpled piece of paper. 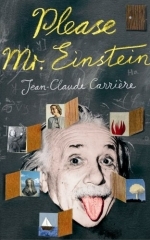 Inside, being given preference over a dozen people sitting in a waiting room, she is ushered into the office of Albert Einstein. "You said that time doesn't exist, so I took the liberty of coming to see you," she says. "You did the right thing," he replies. 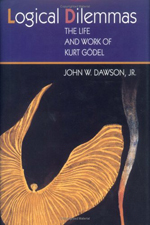 Thus a conversation ensues that spans all the 176 pages of this book.